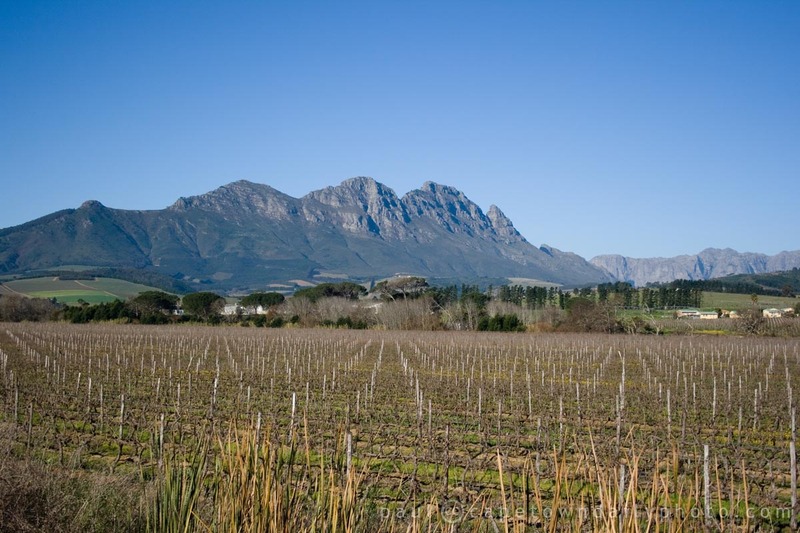 Returning from our little road trip to Riebeek Kasteel we headed towards the well-known farming town of Malmesbury (map). In case you're planning a trip, perhaps it's worth noting that Malmesbury isn't really a town to visit on an outing - in my opinion. 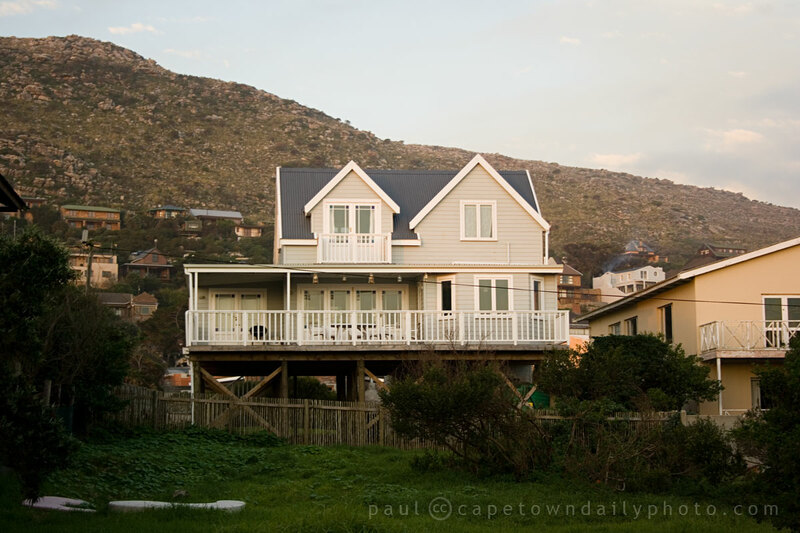 The town itself isn't very pretty and rather the kind of town that one passes though when heading up the West Coast, or when going to places like Riebeek West, or Ceres. Please, I'm looking for someone to disagree with me - so if you're keen on Malmesbury, please do leave a comment to say why you love it. I'm just being honest when I say that although the countryside is extremely beautiful, I've never found the town very pleasant at all. 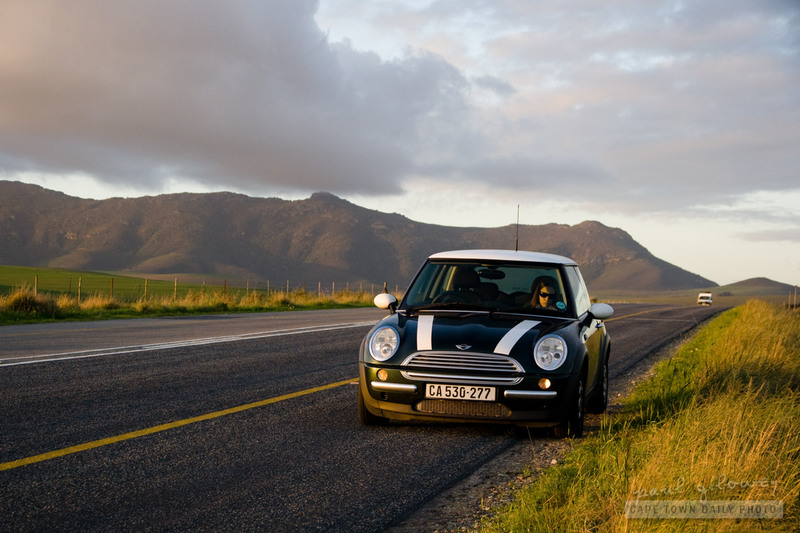 Posted in Landscape and tagged car, mountain, road on Friday, 22 July, 2011 by Paul. 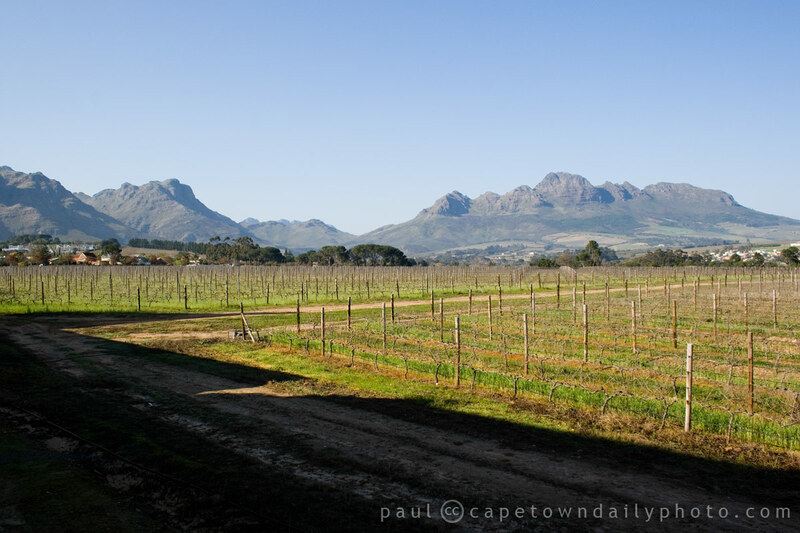 I took this photo from a farm just outside of Stellenbosch while having lunch with family. 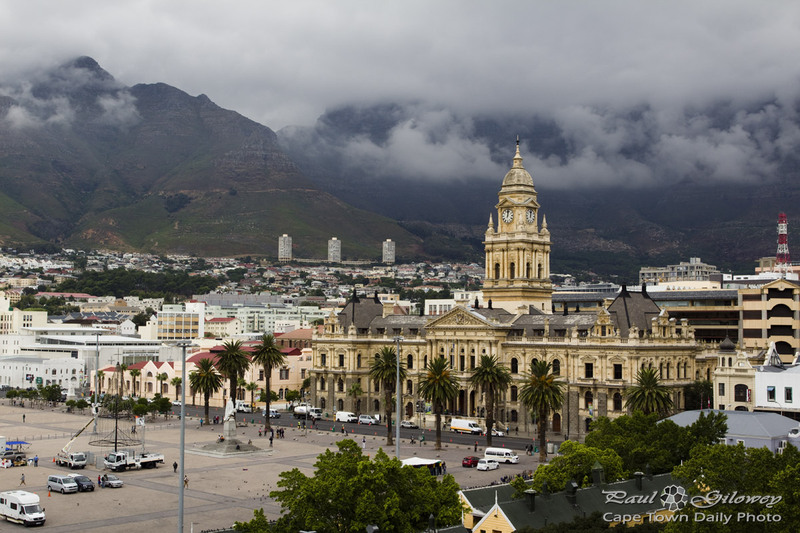 Perhaps it's just the cloud-cover, but doesn't this range of mountains remind you (even just a little) of Table Mountain? Posted in General and tagged grass, green, mountain on Thursday, 26 May, 2011 by Paul. 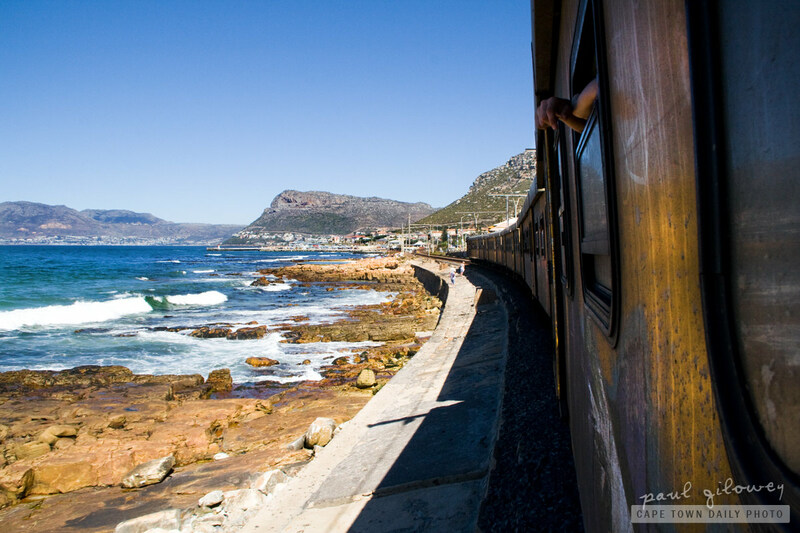 The metro train route that leads from Cape Town Station to Muizenberg and along the coast to Simon's Town is the most popular tourist train route in Cape Town. Well... I guess that's because none of the other routes are frequented by tourists - probably because none of the other have such beautiful views! The train itself is crummy inside - nothing much to behold, and it's a little dirty inside and (as you can see) especially so on the outside! On the plus side, locals and visitors are able to buy a special tourist ticket that costs around R20. 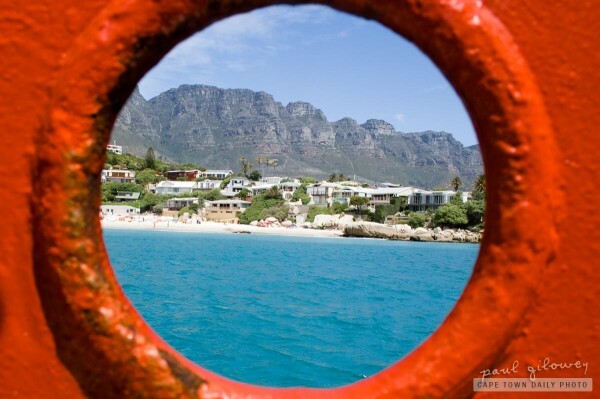 The specific ticket is a day pass that allows for traveler to hop on and hop off at any station along the route from Cape Town to Simon's Town. Isn't that awesome!? Posted in General and tagged mountain, rocks, sea, train on Friday, 13 May, 2011 by Paul. Thanks for your comments on my previous photo Deems, Nicola and Dawn. You're all correct - the beach is one of Clifton's 4 beaches and Dawn was 100% right in naming it as Clifton 4th - my favourite. There was no wind to speak of; the air was cool, but the sun was warm. Bobbing around on a boat just of the beach was an amazing feeling. Even though we weren't on a luxury yacht, I guess that's the best way to describe the feeling. Imagine yourself in this very spot on the deck of a luxury yacht, enjoying the sun, drinking cocktails and snacking on delightful treats. Grand hey? This was such great fun - and if you're okay with being out on a boat, I'd suggest this to be of the things you have to do when visiting Cape Town. It was simply beautiful. Remember to take motion sickness tablets before jumping on board. As a particular colleague of mine discovered , feeling ill on the water really does ruin the experience. Posted in Activities and tagged beach, boat, mountain, sea on Friday, 3 December, 2010 by Paul. The beach in this photo is a little more tricky than normal to identify because the hole in the hull obscures a lot from view. 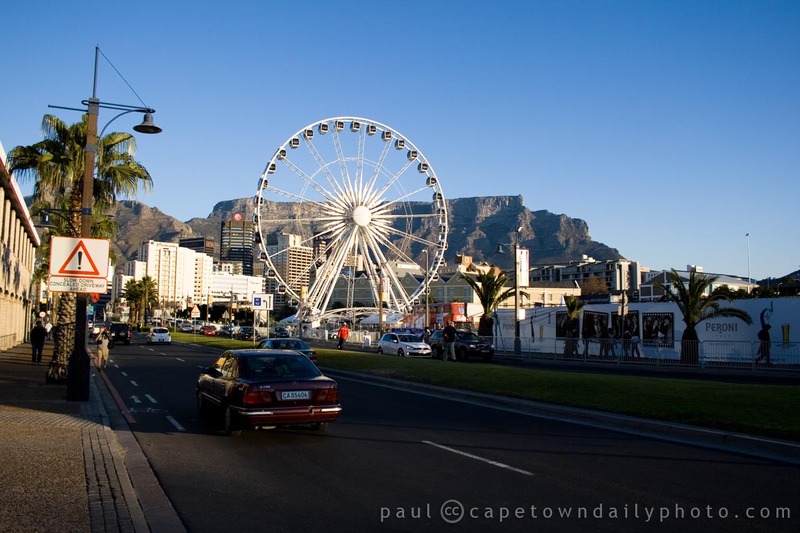 This said, I'm sure if you've spent some time in Cape Town that it would be unmistakable. Can you identify which it is? Posted in General and tagged beach, mountain, sea on Thursday, 2 December, 2010 by Paul. 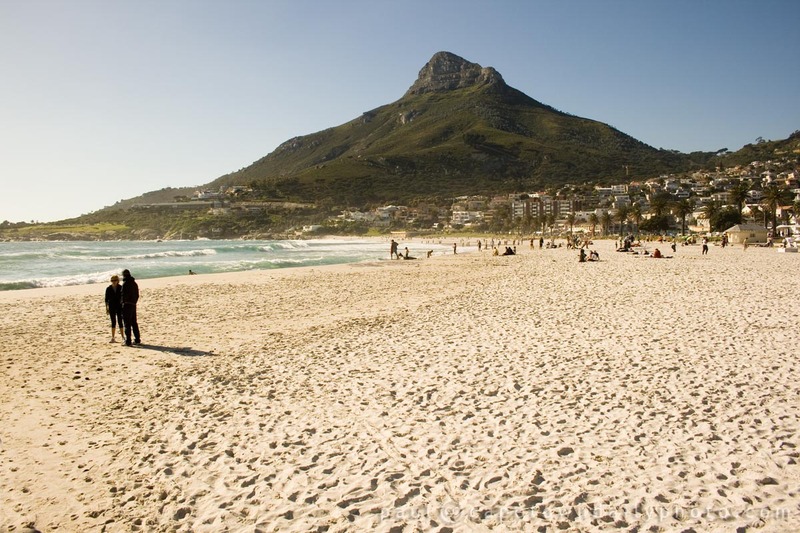 It was a beautiful day, but I assume that from the look of the beach you'd guess that it's still winter in Cape Town. Although we have the occasional warm day, the air is generally still pretty cool and you certainly won't find beaches packed with people. I can't say that the lack of winter rain hasn't started to concern us because either we're going to have torrential downpours (and possibly even some flooding) in the next couple of months or we're going to have an exceptionally dry summer... neither of which is a particularly great prospect to look forward to! Posted in Activities and tagged beach, mountain, sea on Sunday, 8 August, 2010 by Paul. 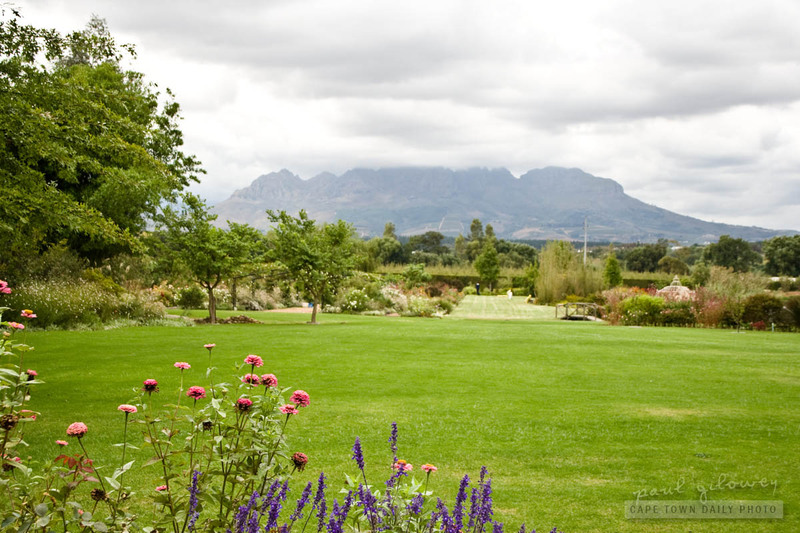 I mentioned in my previous post about the gorgeous view that one has from Stellenbosch Lodge Country Hotel's Blaauwklippen conference room. Well, this would be it. And, as I said, can you imagine the view during summer when the vineyards are green and laden with huge juicy grapes? :) It must be absolutely beautiful! Posted in General and tagged mountain on Monday, 2 August, 2010 by Paul. I posted a photo of the Wheel of Excellence a little while ago, but feel that I should post this one just to show the beauty that surrounds her roundness. 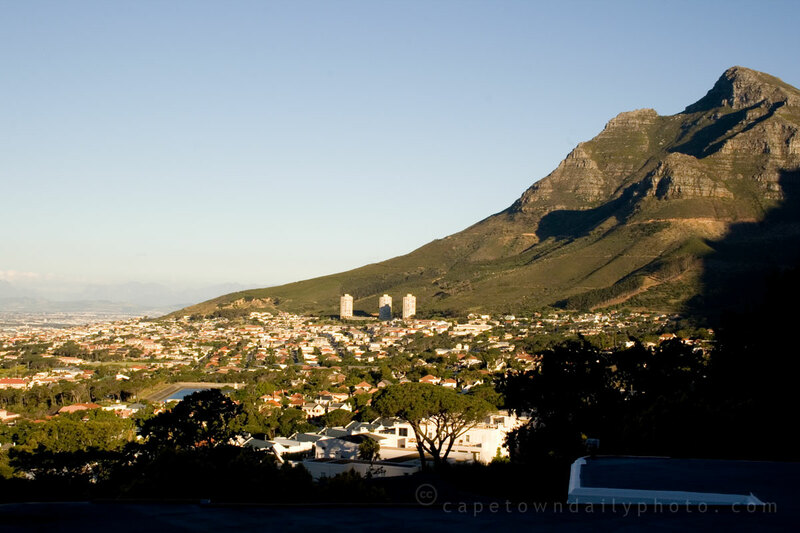 Isn't it just awesome to have a mountain be the backdrop of a city? 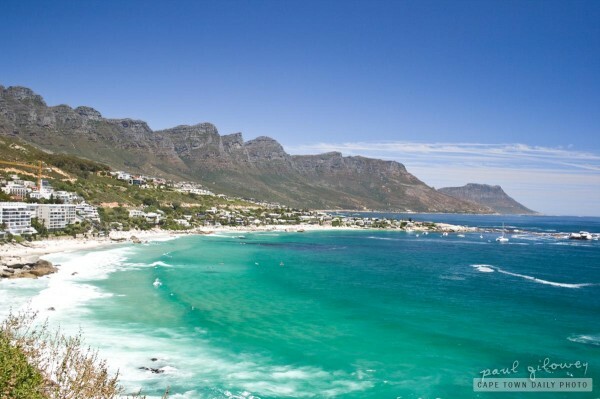 I feel like the residents of Cape Town are such a lucky bunch - and I wonder some times if they even realise it. Read a little more about the wheel, it's cost, and when she'll be on her way in my previous article on the topic. Posted in General and tagged blue, mountain on Saturday, 3 July, 2010 by Paul. 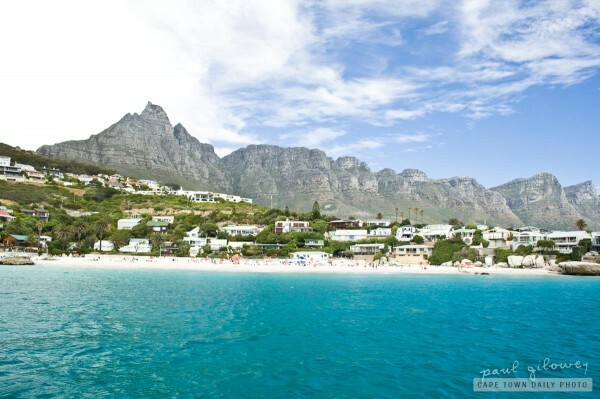 While most of Cape Town's inhabitants experienced a perfect Cape Town sunset - many sipping drinks at the beach - Kerry-Anne, myself and another 20,000 fans of The Killers spent 3 or more hours in traffic, trying to reach the Val de Vie estate in Paarl. 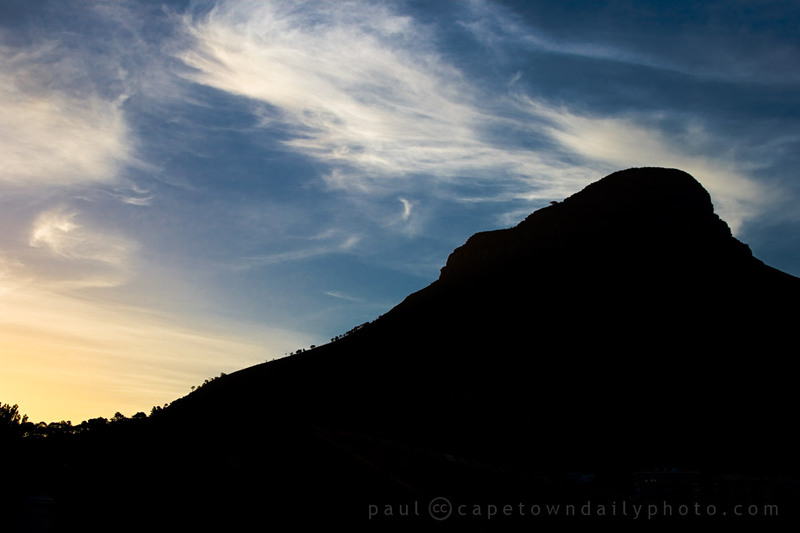 We arrived at the venue just as the sun was setting, and I have to say that the frustration of three hours spent in stop-start traffic quickly faded as we watched the sun set over the mountains to the music of supporting band, Zebra and Giraffe. The Killers were spectacular; the show was better than either Kerry-Anne or I had expected... in fact, it was outrageously good! Unfortunately, the heavily packed parking area, the 2km single-lane exit road, and the crowd of 20,000 people trying to leave at the same time meant that some of our friends only arrived home at 04h30 in the morning, after spending hours just waiting in the parking lot for traffic to clear! We were the lucky ones - because of where we were parked (fairly close to the exit), we weren't stuck in the traffic for quite as long as that. We arrived home after only two and a half hours, at 1am. Posted in General and tagged concert, mountain, music, sunset on Sunday, 6 December, 2009 by Paul. Of course, we realise that someone has to do it. And since we're such good souls, we take this task upon ourselves without complaint, and make the best of it. Yup, we do what we have to do... which, in summer, mostly involves watching stunning sunsets at the beach, drinking cocktails, spending the afternoon in the pool, braaiing with friends and walking on the mountain. *sigh* It's a tough life. Posted in Landscape and tagged devil's peak, mountain on Tuesday, 17 February, 2009 by Kerry-Anne.